It’s been a few years since History realized it could make learning fun by throwing a bunch of money and professional actors at it, as it did with Vikings, and now History will continue its new and entertaining approach with another season of Project Blue Book. According to The Hollywood Reporter, History has ordered 10 more episodes of executive producer Robert Zemeckis’ UFO investigation show just about a month after the premiere of the first season, with stars Aidan Gillen and Michael Malarkey both presumably set to return. The show is based around a real-life study of unexplained phenomena that the U.S. military conducted from the 50s to the 70s, with the investigators (who may or may not have looked like a guy from Game Of Thrones and a guy from The Vampire Diaries) eventually logging thousands and thousands of reports on possible UFO activity—meaning there’s a ton of material to crib for potential storylines, even if most of those probably turned out to be weather balloons or swamp gas or whatever. 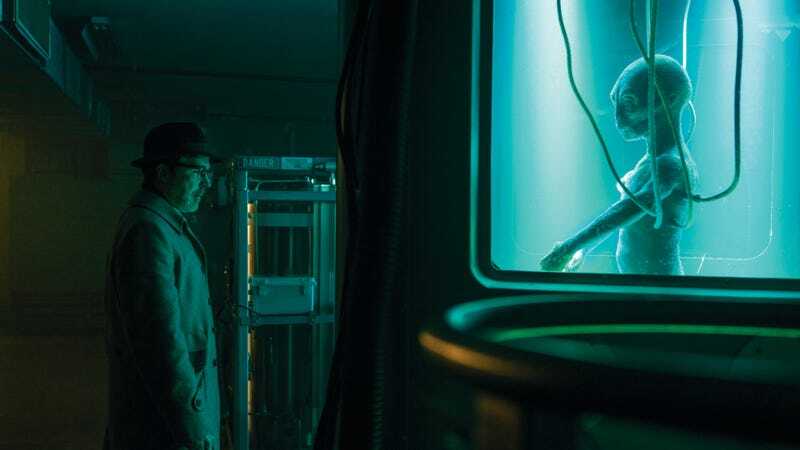 This comes as Project Blue Book has become the most-watched new cable show of the current TV season, so History fans are clearly still excited about this wonderful world of reasonably educational television.